Controversy at Clapton Orient on 2nd March where Leeds City, standing fourth in Division Two, go down 3-1. The Orient officials had booked a 4.30pm start for the Monday match in order to get as large a gate as possible, (reported the Leeds Weekly Citizen), but, with no floodlights that meant the game was going to end in darkness. Twenty minutes into the second half Leeds are winning 1-0. Then Scottish international Jimmy Speirs wrenches his knee and has to be carried off. “This proved to be an opening for the Orient men, who, with only ten men to face, set up a determined effort to win the match. “Had the light held out there is little doubt that they would not have succeeded; as it was the game had only twelve minutes to run when a free-kick close in by Hind, one of the Orient full-backs, drove the ball past Scott into the net. Furious Leeds manager Herbert Chapman appealed to the Football League Management Committee. Orient were fined 25 guineas, but the result stood. 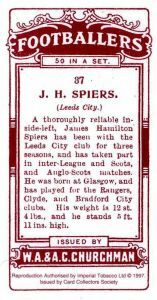 Speirs’ knee injury plagued him for the rest of the season, and Leeds narrowly missed promotion, ending the season in fourth spot behind Notts County, Bradford Park Avenue and Woolwich Arsenal. 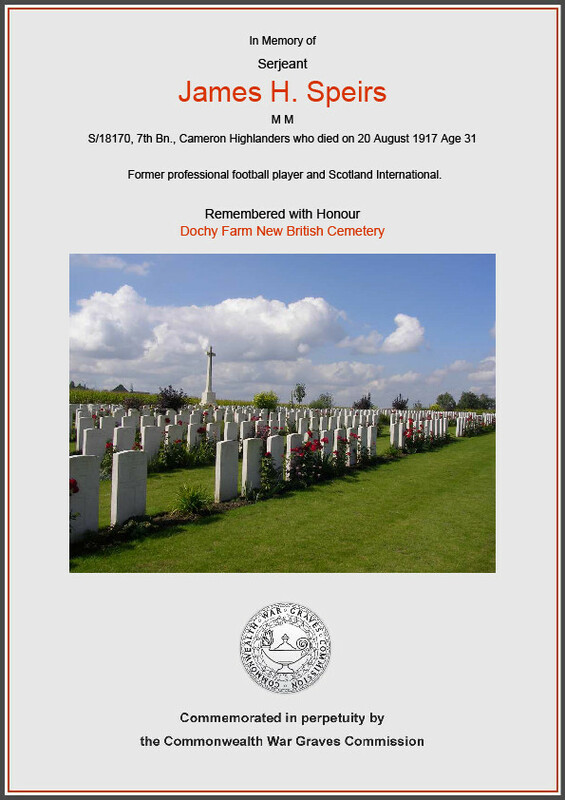 Three weeks after playing his last match – league football was suspended at the end of the 1914-15 season – Glaswegian Speirs went home and enlisted with the Queen’s Own Cameron Highlanders. He didn’t have to. As a married man with two young children, he would have been exempt from the call-up. Posted overseas in May 1916, Speirs was awarded the Military Medal for his bravery at the Battle of Arras. 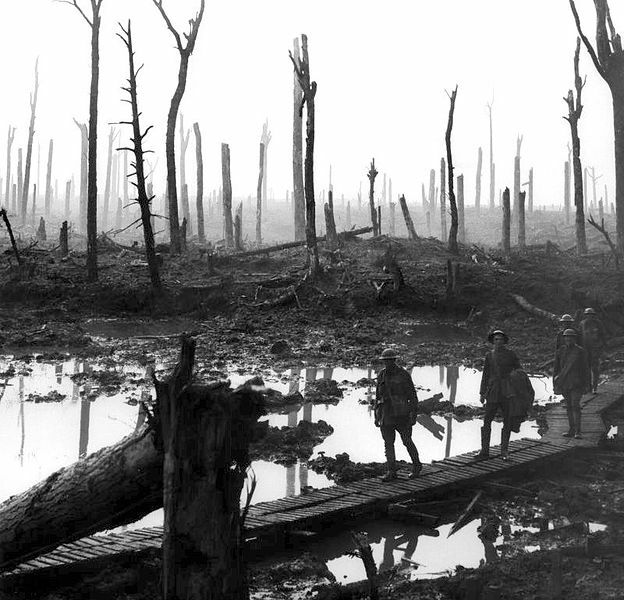 He was killed during the Battle of Passchendaele in August 2017, at the age of 31, and is buried in a cemetery in Ypres. 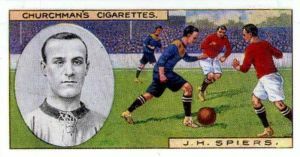 There’s more about Jimmy Speirs’ time at Bradford City – for whom he scored the winning goal in the 1911 cup final – on this site. 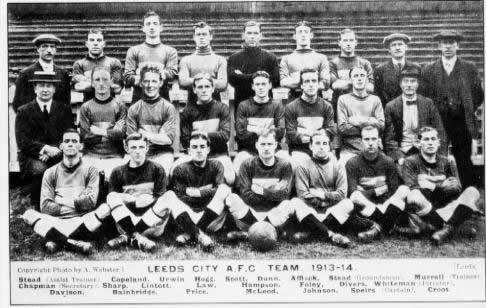 This entry was posted in History, Leeds1914 and tagged clapton orient, foootball, herbert chapman, jimmy speirs, leeds city, leeds weekly citizen, passchendaele. Bookmark the permalink.